This is an extremely rare Armenian coin minted in Artaxata (Artashat) from circa 2 BC till 4 AD. Strabo and Plutarch describe Artashat as a large and beautiful city and the royal residence (basileion) of the country. Plutarch also mentions that it was the royal residence of Tigranes. A focal point of sophisticated culture, Armenia’s first theater was built here. Movses Khorenatsi mentions numerous pagan statues of the gods and goddesses of Anahit, Artemis and Tir were brought from the religious center of Bagaran and other regions to the city. 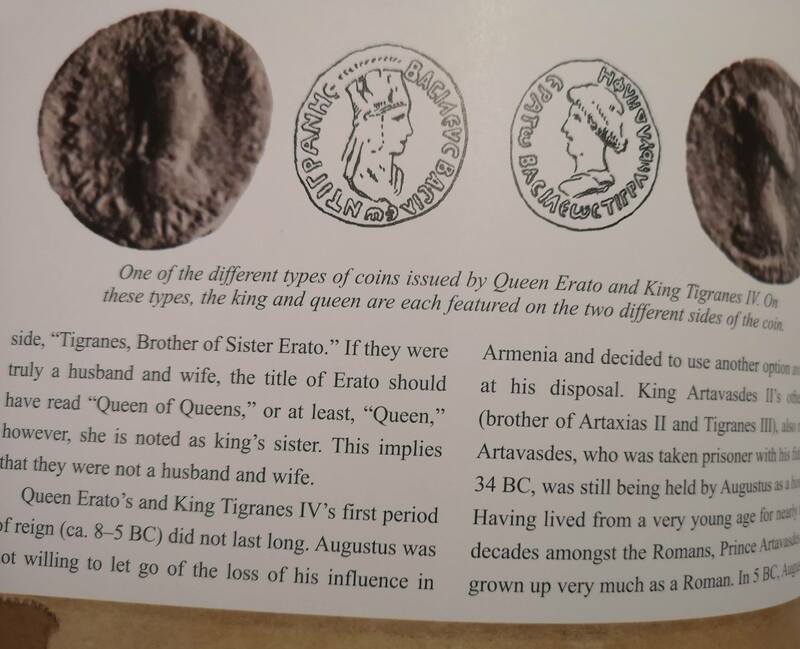 The coin shows the busts of Tigranes IV, wearing tiara and diadem, and queen Erato. On the reverse the two peaks of Mount Ararat are depicted, as seen from the Armenian capital Artaxata. Togranes IV and Erato were siblings through a common father and different mothers. They married to preserve the purity of the Artaxiad bloodline. 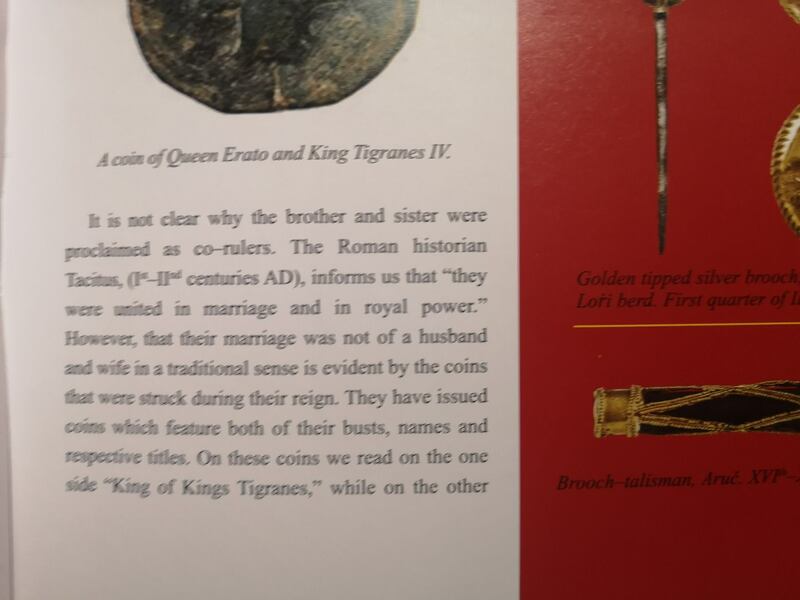 Erato bore Tigranes IV a daughter who later married King Pharasmanes I of Iberia (modern Georgia} who ruled from 1 until 58, and by whom he had three sons: Mithridates I of Iberia, Rhadamistus and Amazaspus (Amazasp) who is known from a Greek inscription found in Rome. See here more Armenian coins with the twin peaks of mount Ararat.